CANTON, MA (February 5, 2014) – As competition in the coffee industry continues to heat up, Dunkin’ Donuts continues to set itself apart for a superior customer experience. For the eighth consecutive year, Dunkin’ Donuts has been ranked number one in customer loyalty in the coffee category by the Brand Keys Customer Loyalty Engagement Index®. Dunkin’ Donuts was also ranked number one in customer loyalty in the packaged coffee category for the second consecutive year. In both categories, Dunkin’ Donuts earned one of the highest scores for meeting customer expectations across all 64 categories and 555 brands ranked in the Index. The 18th annual national survey conducted by brand loyalty and engagement consultancy Brand Keys identifies brands that are best able to engage consumers by meeting or exceeding their expectations, which creates loyal customers. 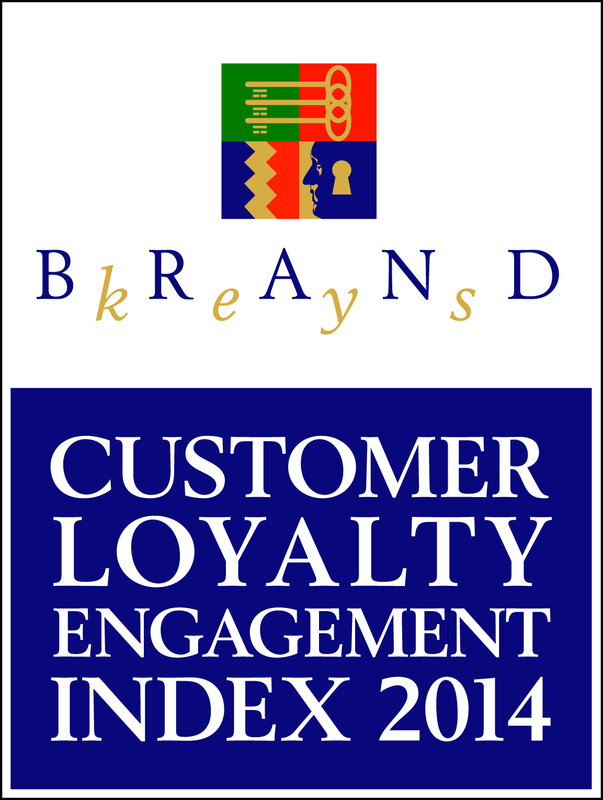 Brand Keys’ Customer Loyalty Engagement Index recognizes the brands that receive the highest loyalty and engagement assessments and surpass competitors for “delighting” customers. In the coffee restaurant and packaged coffee categories, consumer preferences were based on consistently meeting customer expectations for taste, quality, service and brand value. Dunkin’ Donuts’ recognition by Brand Keys follows the company’s recent launch of its new DD Perks® Rewards program, offering guests nationwide points toward free Dunkin’ Donuts beverages for every visit they make at participating Dunkin’ Donuts locations. With DD Perks, guests earn five points for every dollar they spend on qualifying purchases at Dunkin’ Donuts when they pay using an enrolled Dunkin’ Donuts Card, either plastic or via the Dunkin’ Mobile® App. Once a member accrues 200 points, he or she receives a coupon for a free medium beverage of choice, redeemable at participating Dunkin’ Donuts restaurants. DD Perks members can also share their free medium beverage reward coupon with friends, family and colleagues to keep them running on Dunkin’. To enroll in DD Perks and for complete details about the program, visit www.DDPerks.com. Dunkin’ Donuts’ packaged coffee is the perfect way to enjoy the delicious taste of Dunkin’ Donuts coffee at home, any time. Available in favorite flavors such as Original Blend, Decaf, Hazelnut and French Vanilla, Dunkin’ Donuts’ packaged coffee is available at participating Dunkin’ Donuts restaurants in a 16-oz. bag. According to The NPD Group / CREST®, Dunkin’ Donuts serves the most hot regular/decaf/flavored coffee and iced coffee in America, selling more than 1.7 billion cups of coffee every year. Dunkin’ Donuts uses 100% Arabica coffee beans, and the company’s coffee specifications are recognized by the industry as a superior grade of coffee. There are more than 7,600 Dunkin’ Donuts restaurants in the United States and nearly 11,000 restaurants in 33 countries worldwide.